Love these cute, simple little flowers! They are easy and quick to make. 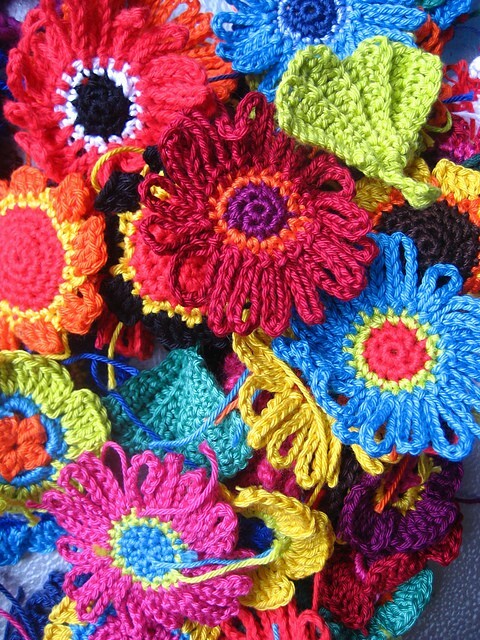 These colorful Crocheted Flowers designed by Moois van Me are beautiful, versatile and a beautiful way to embellish your world. They can be made with cotton yarn, wool, crochet cotton, pretty much any yarn you want, they are also great to use scrap yarn in an artistic way. 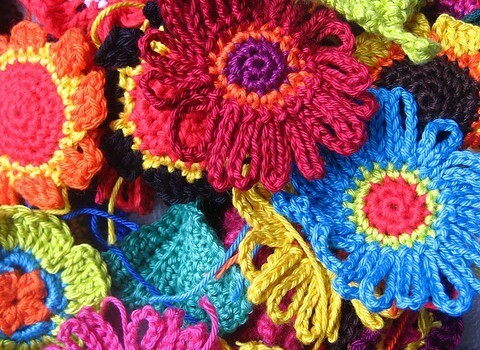 I wrote this pattern because I wanted crocheted flowers to make fridge magnets. Just glue a magnet at the back for magnets. Thanks to Moois van Me for this article inspiration and featured image. I can not open any patterns. Elizabeth please click the name of the patterns to get to their pages. ( First letters capital, followed by the name of the designer and one line under.) Hope it helps.